"I should have known that a potty-mouthed insult would be inherently more interesting ... than this juvenile immigration policy"
Comedian Samantha Bee returned to her TBS show on Wednesday, apologizing again for using a crude epithet to describe Ivanka Trump but expressing anger that the ensuing controversy distracted from more important issues. 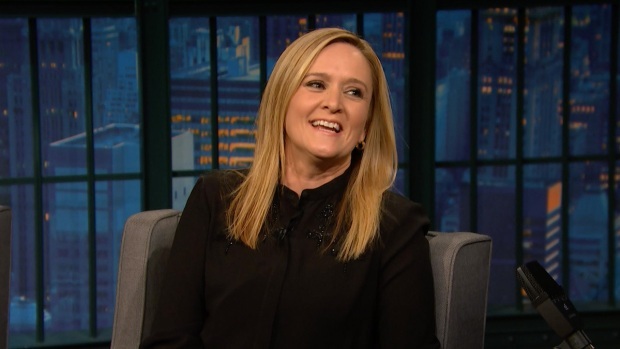 Samantha Bee reveals she once carved her name into John Oliver's desk with a knife. The two talk show hosts share a studio space with one another.